The phenomena of motivation cannot be studied separately as an independent research topic because motivation is highly interrelated to cognition, emotion, learning, and decision-making process. 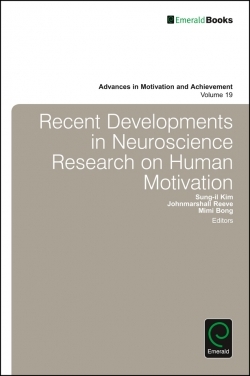 The overarching aim of this volume, therefore, is to provide new insight into a unified grand theory of motivation by integrating noteworthy neuroscience research findings on motivation. This volume is dedicated to advancing our understanding of brain mechanisms of underlying various motivational phenomena, including reward, approach, autonomy, intrinsic motivation, learning, effort, curiosity, and self-control. The volume is divided into four parts: The first part introduces classical but fundamental issues such as reward, approach, and individual differences. The second part deals with intrinsic motivation including autonomy and curiosity. The third one examines recent approaches on the interface between motivation and cognition in learning and decision-making. The last part focuses on practically significant issues pertaining to self-regulation development.